LOUISVILLE, Ky.—January 10, 2017—Households with children can be hectic, especially in the morning. 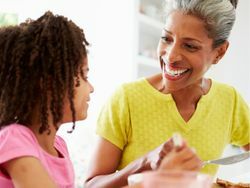 Imagine if your kids had a special place to store their lunches and snacks. A place they could access quickly and easily, without having to rummage through the entire fridge. 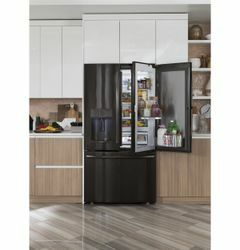 GE Appliances’ new door-in-door refrigerators make it possible, with an easy-to-grab compartment for those popular food and beverage items. 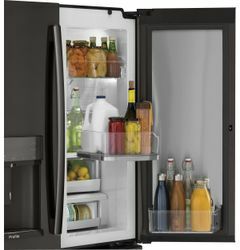 The new design is like a refrigerator within a refrigerator. 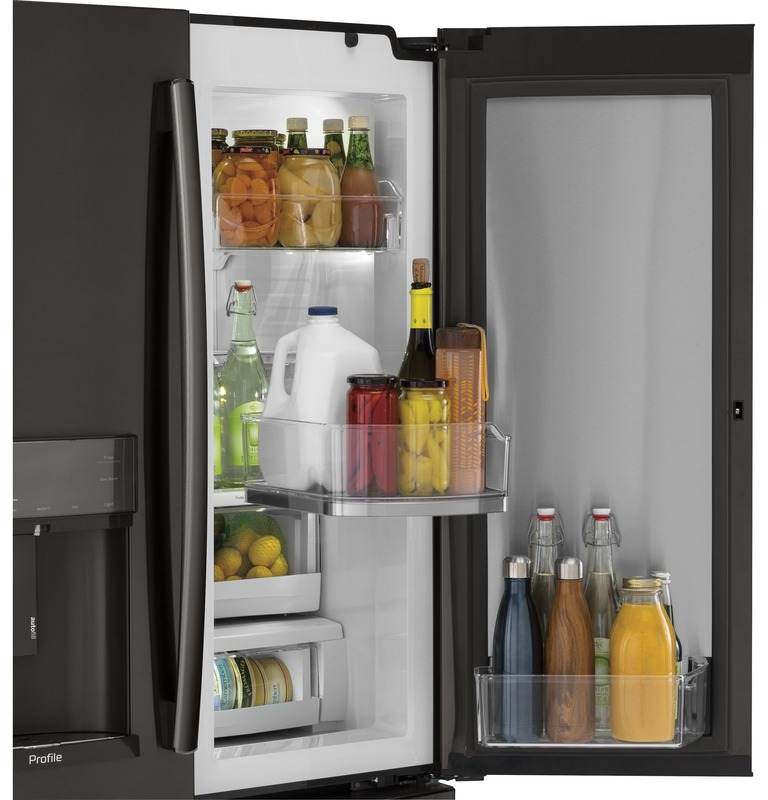 The exterior door space can be reserved for those items you need to grab at a moment’s notice, while the interior space of the refrigerator can hold the items you don’t need all the time, which changes the way people think about refrigerators and how they use the space in them. The outer door’s handle is designed to work seamlessly into the full door system. Being hidden behind the main handle on the refrigerator gives the overall design a sleek appearance. 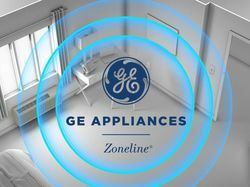 Once opened, owners can find what they need at a glance within three unique bins. Top bin is fixed in place. Middle bin rotates out so that even items in the back of the bin are easy to access. Bottom bin comes out with the shell of the door as it is opened. The robust and strong hinge system helps provide full access to the contents inside. 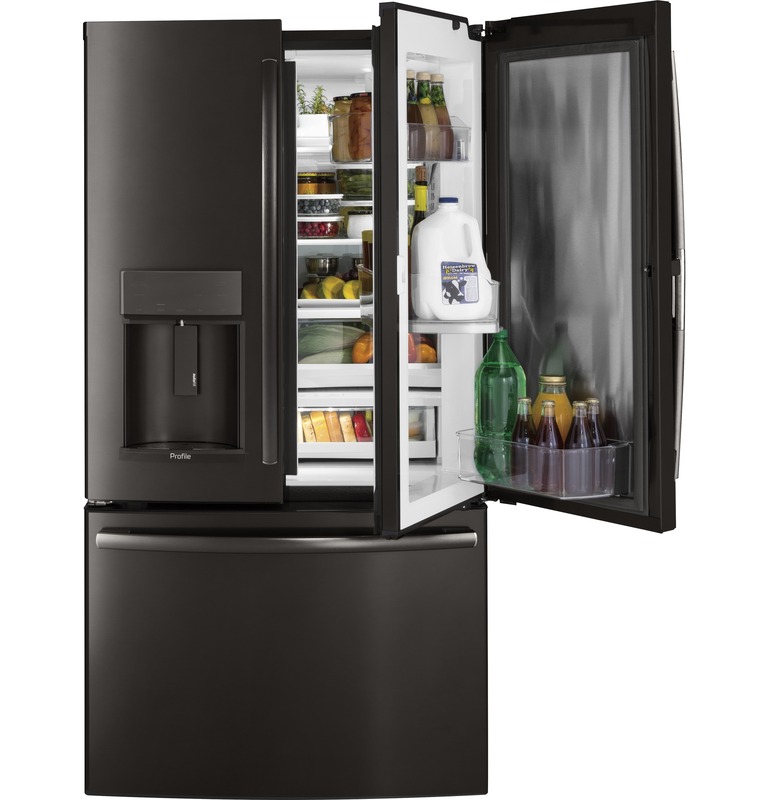 The new door-in-door refrigerators will be available in GE® and GE Profile™ brands. Finishes include new black stainless steel, stainless steel and Slate. All are available in July 2017. 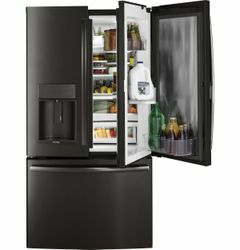 Whether you’re grabbing a quick snack or cool drink as you head out the door, the new door-in-door refrigerators provide a smart organization system that lets the whole family easily access the items they want.